Remember, when you were children, the world was your oyster! Your toys were the sticks and pebbles from the garden, you reveled in the mud, made mud pies and mud tea… and even though you had a couple of Barbie dolls, my sister and I collected rags from all over the neighborhood and “designed” clothes for them. And they were not half bad, if I may say so myself. However, times have changed, and our children don’t like to play with mud and rags anymore. Or maybe we don’t want our children to. These days, educational toys are what we aim at, to have our kids learning while having fun. These educational toys help the child reach his or her development milestones in physiological, psychological, social and/or intellectual spheres. Therefore as much as you may dislike your child moving away from traditional toys, like the wooden truck, to a battery operated car, you would not have the nagging doubt whether your child is falling behind her peers if she is not getting the latest technology available in the market. There are types of toys that differ in the different ages of the child, as s/he crosses each developmental stage in his or her growth. Recognize colours, hold and feel things, hear sounds, access to music, understand which switch will prduce what sound in baby gyms by age of 1 year. The next stage for a child is; learning sounds, alphabets, and basic numbers. Hence the auditory capabilities of the child need to be developed helping them recognize shapes and formations of alphabets and numbers. To achieve this, the child can be introduced to the next level of the electronic toys. Toys with volume, songs, and rhymes, (such as a kids laptop) will help them form their first words and show them meanings of unknown words. Most kids are sent off to preschools at the age of 2.5 years. In the preschool, the introduction to finger tracing of alphabets and recognizing the alphabets formally begins. This is also the stage when the child starts to ape adults hence gets interested in writing and scribbling like grown-ups. To facilitate this development write and wipe boards, doodle pads, whiteboards or wipe-able books are a good option. Leapfrog has good musical toys, so does Fischer Price and Funskool. Vtech is well known for its children’s laptop toys. All toy makers make doodle pads now. Little Tikes has easels and boards that are made for play dates or for a group of kids. Play-Doh, clay or finger paint is also fun at this age and fires up the creativity in kids (also the child is grown up enough to realize that it should not be eaten). Music: According to most of the studies that have been done to establish the appropriate age to start any kind of musical instrument, a child at 6 years is ready for such a start. Music helps a child in concentration development and is great for their self-esteem. It gives them a feeling of achievement and satisfaction. The best way to introduce a child to a musical instrument will be to get the junior version of a guitar/piano or synthesizer, drums of any kind/ tabla, flute, and violin. All the major toy brands have musical instruments like toy drums or keyboards or guitars for children. Once the child shows interest and inclination towards a particular instrument; one must invest in a real junior version of the instrument and get the child into a formal class so that the creativity and genius of a child are encouraged and developed. Drawing and painting: During this stage freehand drawing is also something that a child may start, to encourage the creativity and skill we must ensure that the child has different medium of colors to experiment with like watercolors/ poster paints, pastels, pencil colors and is also equipped with different kinds of paper to draw on. This will expand the freedom of expression in a child. Introduction to structured sports: By the time a child reaches age 8, s/he is ready for introduction to structured sports activity like bowling, golf, basketball, skating, badminton, football and martial arts. To start with; the parents can introduce the child on their own and as soon as the child starts to show interest in any of the games a proper training institute can be used to enhance the skill. Introduction to any kind of structured sports will mean that the team spirit in a child will develop as well as physical exercise will confirm the healthy physical development. Healthy Physical development, in turn, would mean a strong immune system and overall growth. When the child reaches the age of about 9 or 10, this is the time when they are learning about science in school. Various science experiments will then fire up their urge to do things on their own and also to do their own experiments in the relative safety of home. From botany, to physics and chemistry, experiment toys are available for all subjects. A lot of children also become interested in robotics at this age. Robotics toys are available from Meccano or 4m Kidz Labs. Video Games and virtual games: They are also entering the age when they would love to get hold of video games. Apart from iPad apps, this is also the age for X-box or Play Station consoles. These also have sensors that enable playing indoor versions of outdoor games like cricket, tennis or even dancing. While it is not recommended for always, it is great for a rainy day. Board games: Board games like Pictionary and Monopoly will help them develop their mental skills and also build vocabulary and teach them about money. Chess is another great game and it helps with a child’s mental and strategy building skills. Tablets and touchscreen phones: Tablets are easy enough to be operated by toddlers as young as one as well as preteenager. In fact, as soon as a child can touch, feel and see objects, they are capable of operating a touchscreen tablet or phone. There are apps available for all ages of children which to start off with can teach them shapes, sounds, and colors and as the child grows they can graduate to numbers and alphabets. The Apple iPad of course started it all, but now there are tabs available from every maker in the market at every price point providing seamless touch and play experience for children of all ages. You can also upload apps, (the basic ones are all free but if you want a complete app you will have to pay a nominal sum), according to the age of your child, from the App store where navigation is easy and self-explanatory. Complex board games like Monopoly, chess, Pictionary or scrabble. Outdoor toys and activities are highly recommended for any and every age group of children in this time and age of lifestyle diseases like obesity and Juvenile Diabetes. We have an array of options to provide our children so that they can learn while they play, and also do it in a structured and safe environment. Thanks this what i was waiting for . Its really nice to read this blog. Hi, although my child is now past these ages, I am always looking for worthwhile gifts for my nephews and nieces, great ideas, thanks! 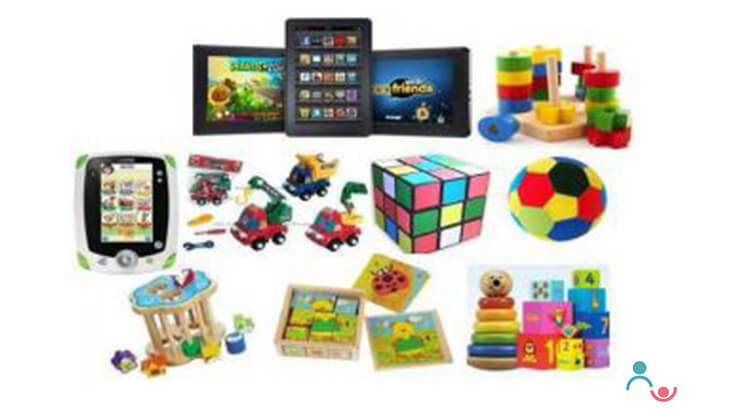 Information on educational toys and the developmental stages of a child, have been presented very well. Great write up, very clear and informative. 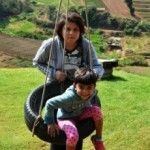 Hi Payal,Excellent blog and a complete guide to refer before buying educational toys for my child.. Also i can refer which age appropriate toys can be bought for gifting too. Thanks! Great compilation ..very useful information indeed.